What’s the one thing you can do to transform your landscape? It’s a matter of vision, one expert explains below. 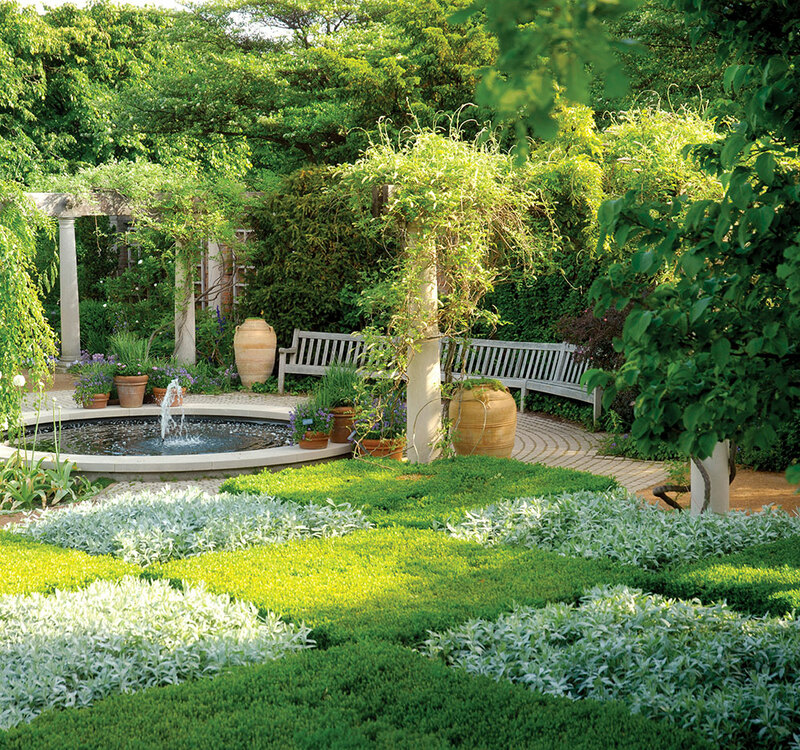 Get even more tips from the pros at the Chicago Botanic Garden’s Antiques, Garden & Design Show. Did we mention that there will be shopping? A well-designed path is a strong visual element. Photo courtesy Nievera Williams Design. Garden ornaments add a sense of scale in a garden. Photo courtesy Nievera Williams Design. 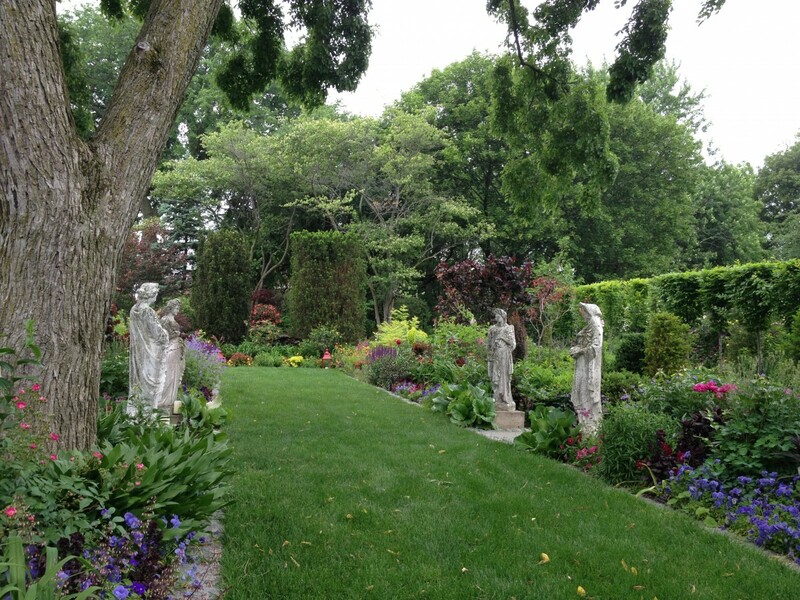 To freshen up the look of a garden, Nievera works with clients to incorporate garden ornaments. 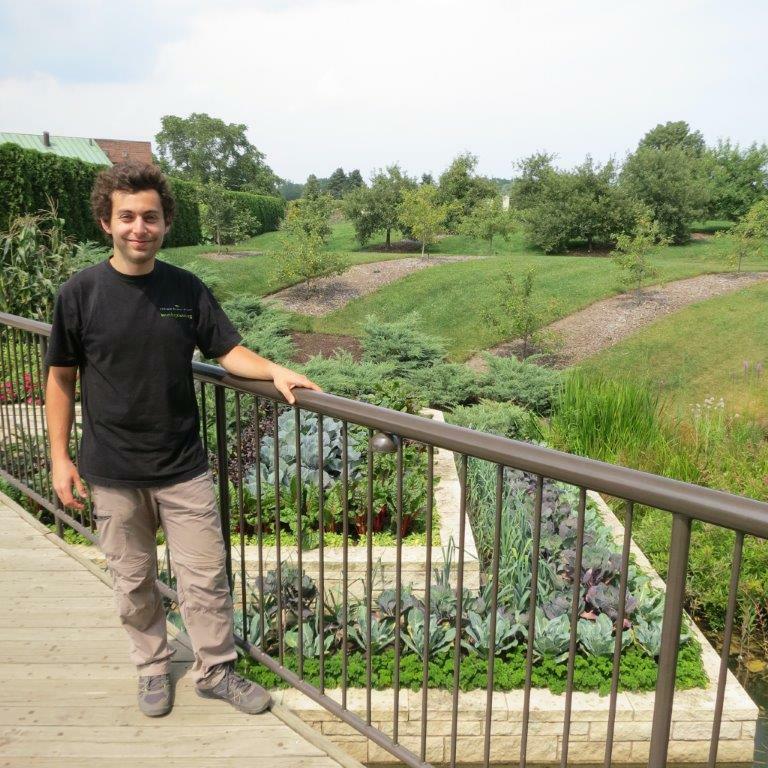 “We do a lot of contemporary designs, and garden ornaments give you a sense of scale, patina, and character,” he says. 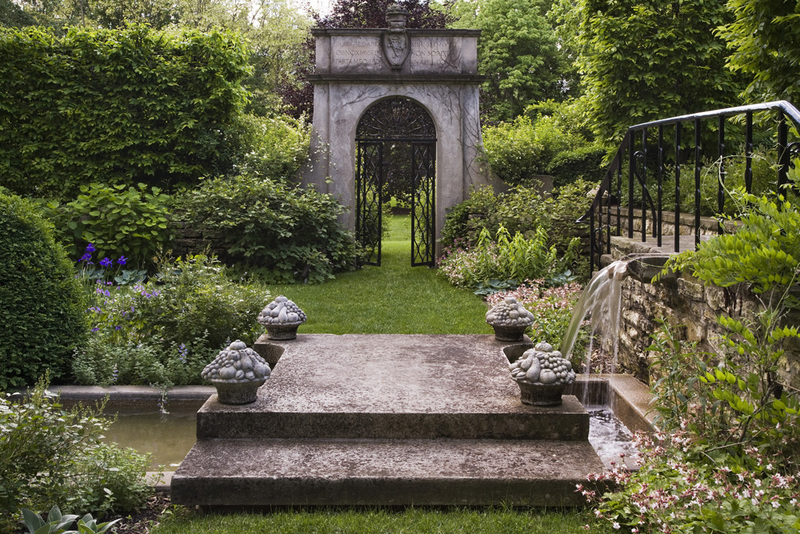 Go to flea markets, antique shows, or established gardens, and check out Pinterest to get ideas on design styles or objects to add to your garden, adds landscape architect Craig Bergmann, who designed indoor gardens for the Show. Be prepared to act quickly. Bring pictures of your house and garden, and consult with the vendors. 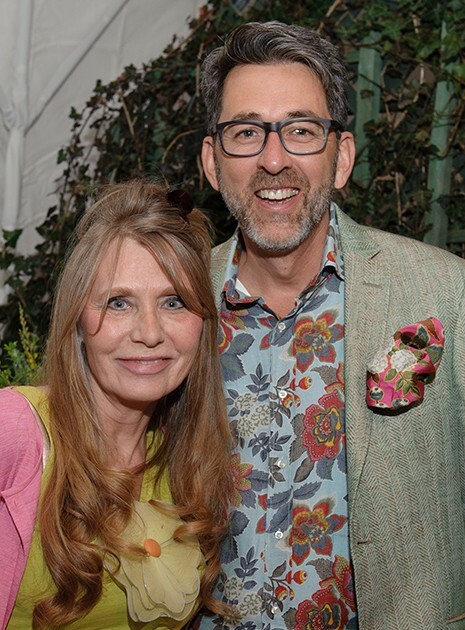 The Show features more than 90 vendors of garden antiques, antiques, horticulture, and more from around the United States and Europe. 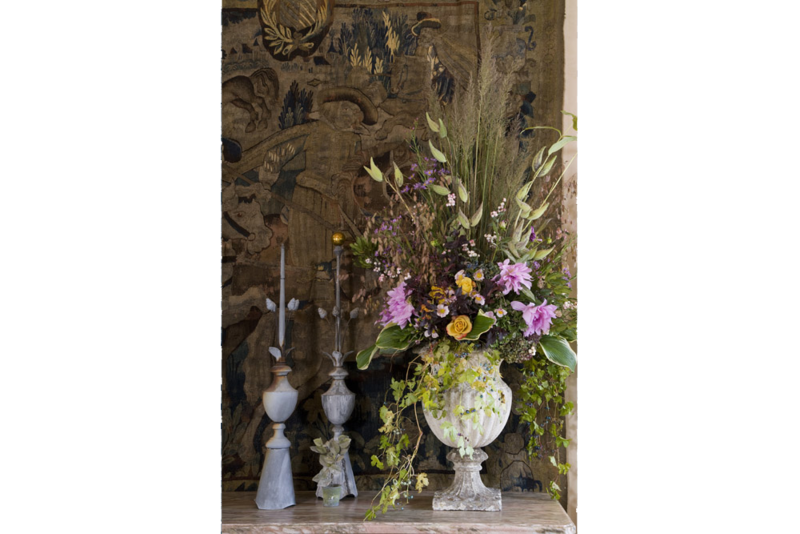 Tickets are on sale now for spring’s most anticipated event, the Antiques, Garden & Design Show. The event takes place at the Chicago Botanic Garden from 10 a.m. to 5 p.m., Friday through Sunday, April 15 to 17. Additional fees apply for the lectures. 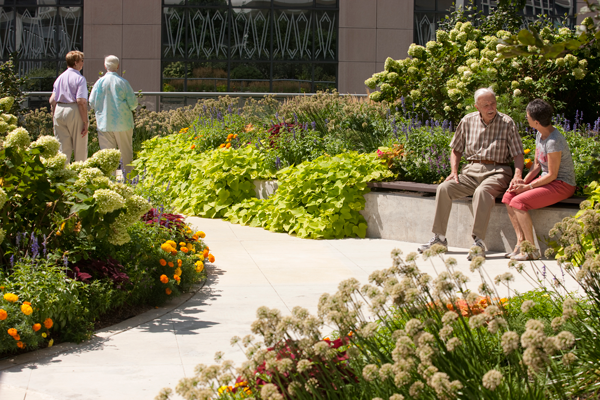 A well-designed outdoor space can do wonders for seniors and those with Alzheimer’s disease. 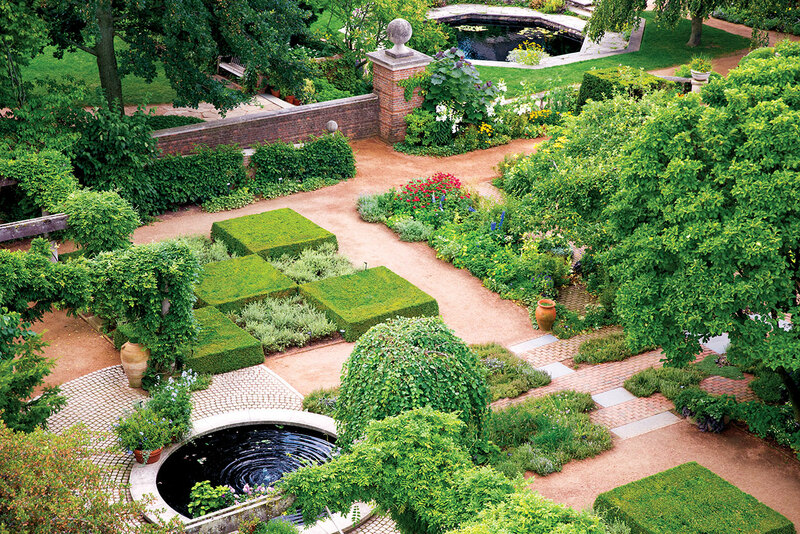 But how do these gardens differ from other outdoor spaces and why are they so important? Housing for the elderly has been provided in many western cities since the Middle Ages. 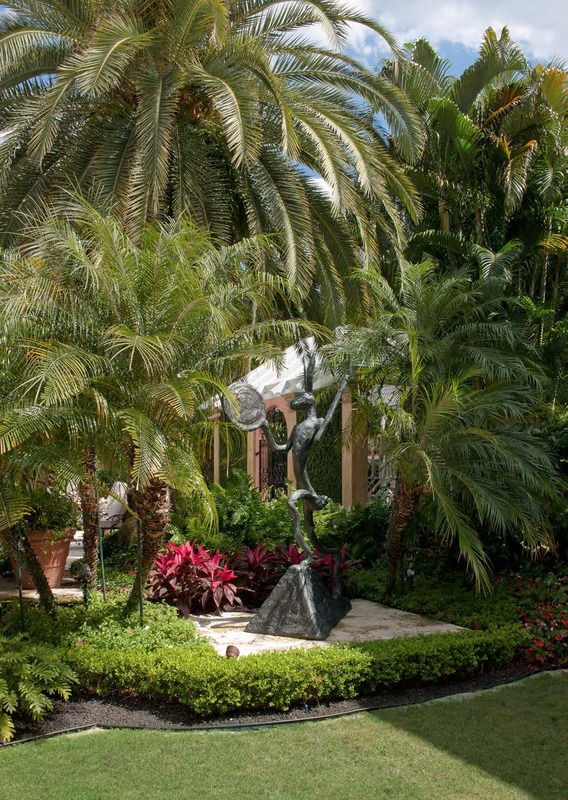 Facilities such as independent living centers, skilled nursing homes, dementia or memory care units, and hospice facilities have traditionally included some form of outdoor space. 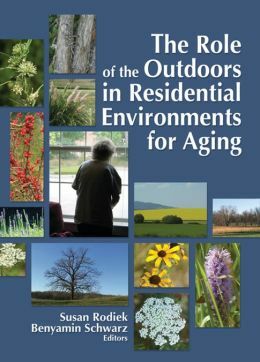 The Role of the Outdoors in Residential Environments for Aging, published in 2006. The majority of the elderly (over 65) reside in their own home or with relatives. Whether in a facility or at a personal home, particular symptoms of decreased quality of life begin to show during these stages. These symptoms are often displayed in the form of boredom, helplessness, and loneliness. Fortunately, many, if not all of these symptoms can be improved with gardening and exposure to outdoor spaces. The keys (and often the greatest challenges) to successful aging are to remain physically active and socially engaged, and to retain a sense of self. There are many measureable health outcomes for seniors and the outdoors. Even a short visit in a garden can lower blood pressure, improve vitamin D absorption, improve stability, and help with better sleep patterns. Boredom can be remedied with sensory stimulation and interaction with nature. Nature can aid the feeling of helplessness with providing a space for temporary escape (actual or visual), and the feeling of loneliness can be decreased in a garden that provides multiple places for socialization. The benefits are endless. So how do we make sure these wonderful gardens are implemented properly so that they will be used by seniors? A senior engages with colorful and inviting roses at Elm Tree Gardens in Lansdale, Pennsylvania. For today, we’ll concentrate on four factors of design: The entrance and exit to the outdoor space, plant material, pathways and ease of accessibility (circuit and materials), and seating. The entrance/exit to an outdoor space—the threshold—is perhaps the most important factor to consider when designing an outdoor space for the elderly, and this largely comes down to one single detail: the door. Doorways are high on the list of residential complaints. Often they’re hard to open, or locked. 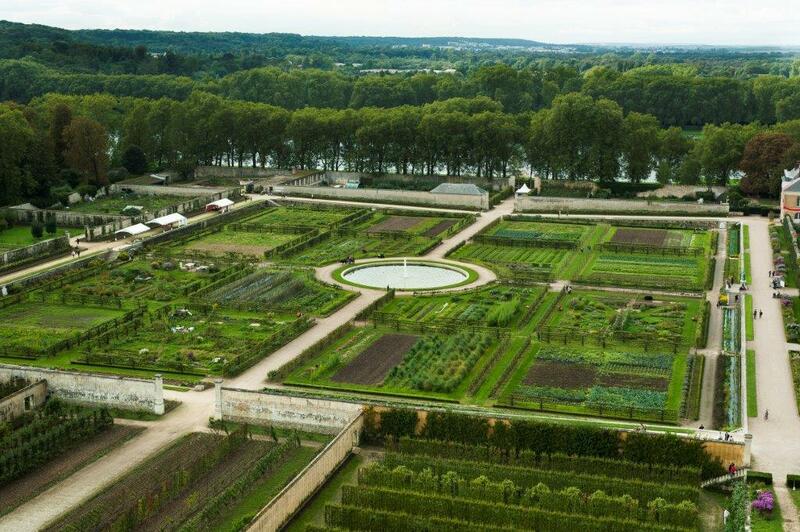 They don’t have windows and therefore inhibit visitors from viewing the garden (…what’s the weather like?). Perhaps the door has a lip that makes it difficult for seniors in wheelchairs to cross the threshold on their own. 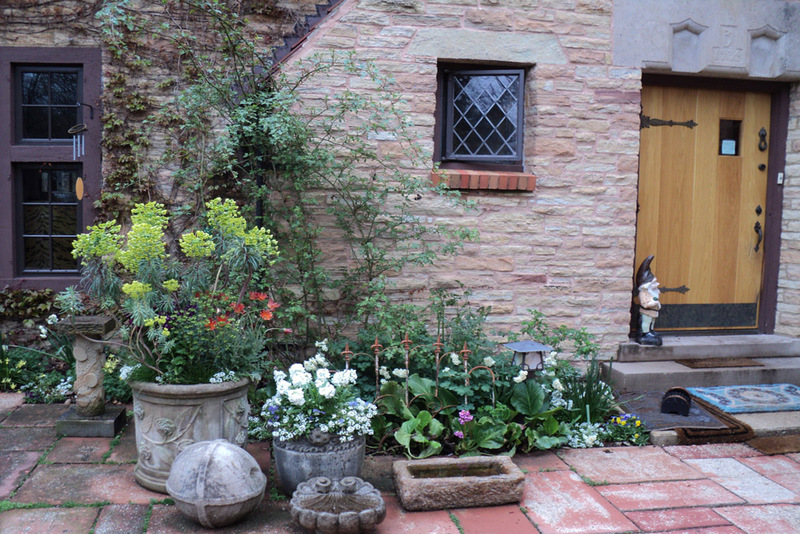 Another factor involving the threshold is the comfort (or perceived comfort) when entering or exiting the garden. 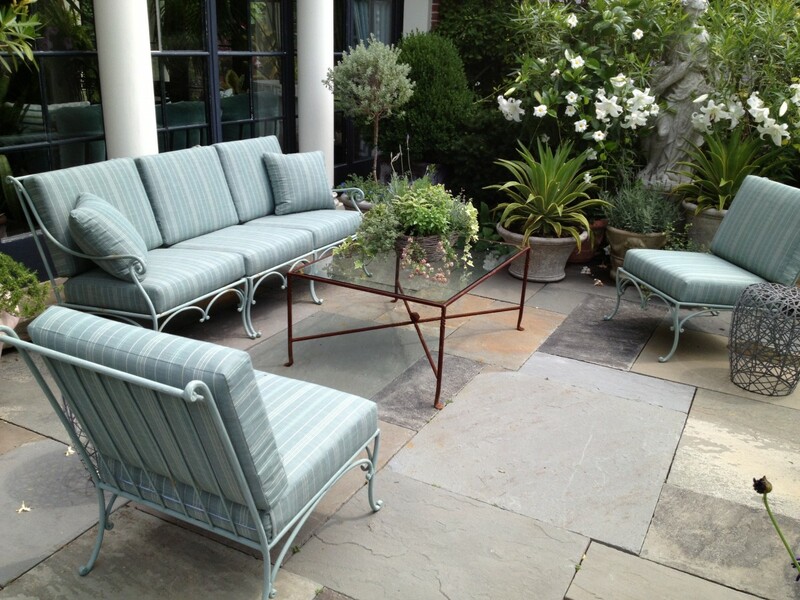 Creating a transition or “comfort zone” between the indoor and outdoor space is key. Aging eyes have difficulty adjusting from indoor light to outdoor sunlight. Providing shade at the entrance/exit in the form of an awning or patio will increase the transitional comfort. This brings us to the next factor: plant material. I didn’t mention a pergola with draping vines as a possibility for the transition space. That’s because it’s a detail that is strongly discouraged in outdoor design for seniors. 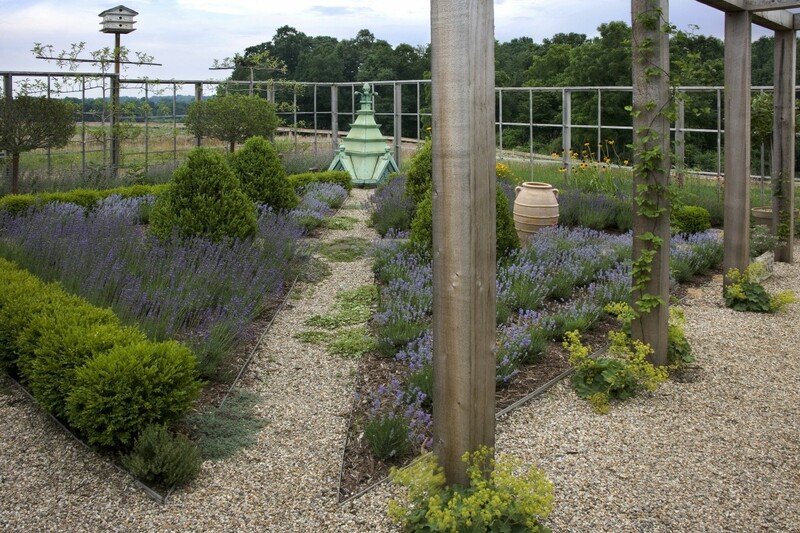 A pergola or draped plant material creates patterned shadows on the ground. This is referred to as “visual cliffing” in design. Seniors react to changes in paving color, or deep shadows on a path as if they were a change in depth. This may lead to stumbles, fear, and discomfort. 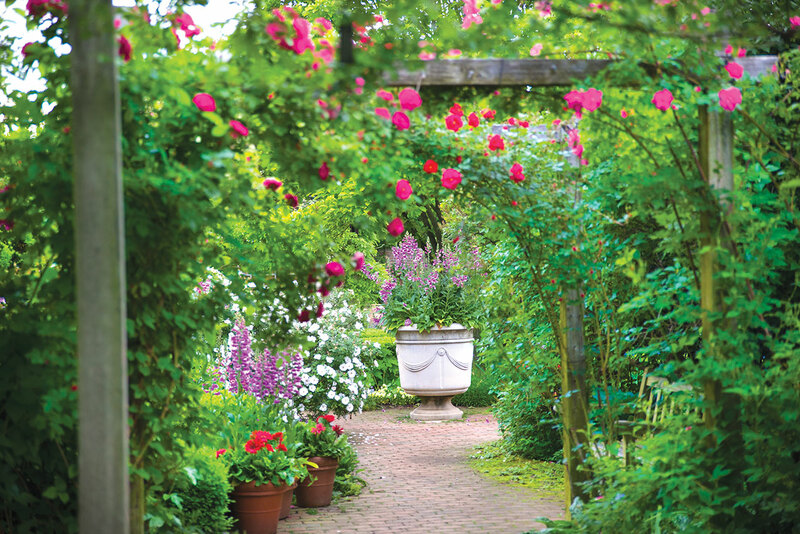 Simply avoiding structures such as arbors or trellises will alleviate this issue. Plant selection for the garden is fairly straightforward. Use a variety of trees, shrubs, flowers, and vines and place them where they can be touched and smelled. Aging eyes can see highly saturated colors—such as oranges, reds, and yellows—more easily than blues, purples, and greens. Also, certain plant material such as herbs and traditional shrubs (hydrangeas, roses, etc.) help to stimulate memory as they often bring deep-rooted and cherished memories to mind for those with Alzheimer’s disease. Color choices are not just important when it comes to plant material, they’re also important for paving, our third factor. Since aging eyes have trouble with glare, use non-glare paving surfaces such as tinted concrete. Other satisfactory surfaces include rubberized asphalt and stabilized decomposed granite. A gazebo provides an easily accessible destination to garden visitors. The pathway circuit is also pivotal. Creating interesting places to walk with shorter and longer loops, destinations points (such as a water fountain or gazebo), and changing vistas will encourage engagement and exercise. With these pathways, be sure to pay attention to safety. Pathways with edges or railings will ensure safety for wheelchair users or individuals with impaired sight. It should be noted, however, that in a facility for those with Alzheimer’s disease, a destination point or wandering path should be adjusted so that its pathway circuit never takes an individual to a point where the entrance/exit is no longer visible. This may lead to the feeling of being “stuck” or agitated if confusion sets in. Not knowing which route to take or how to get back can be very stressful for someone with Alzheimer’s. 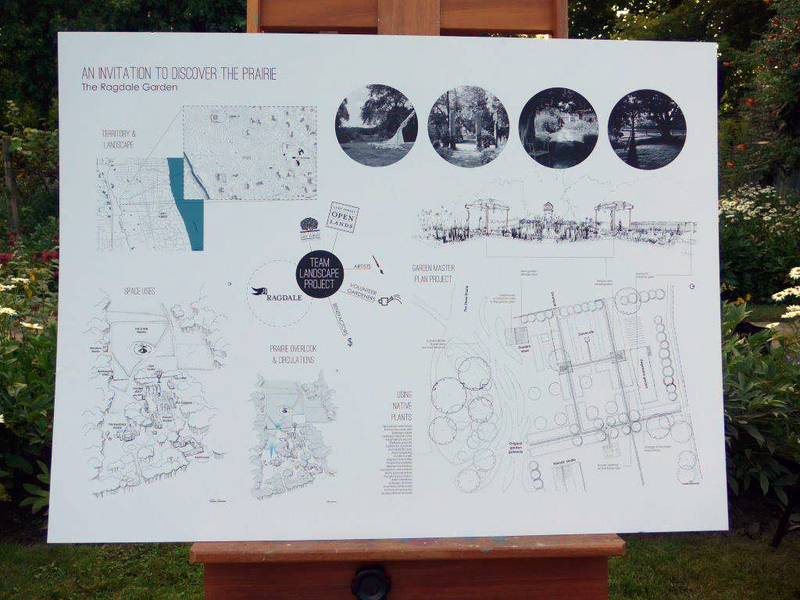 Instead, create a series of large and small destinations and landmarks that will help users orient themselves in a space (flagpole, gazebo, group of chairs, etc.). Lastly, think about seating. It is important to design different areas for seating to create options. Some may like an area to sit alone. Living with other people in a facility is a new experience for many residents and it can be stressful. 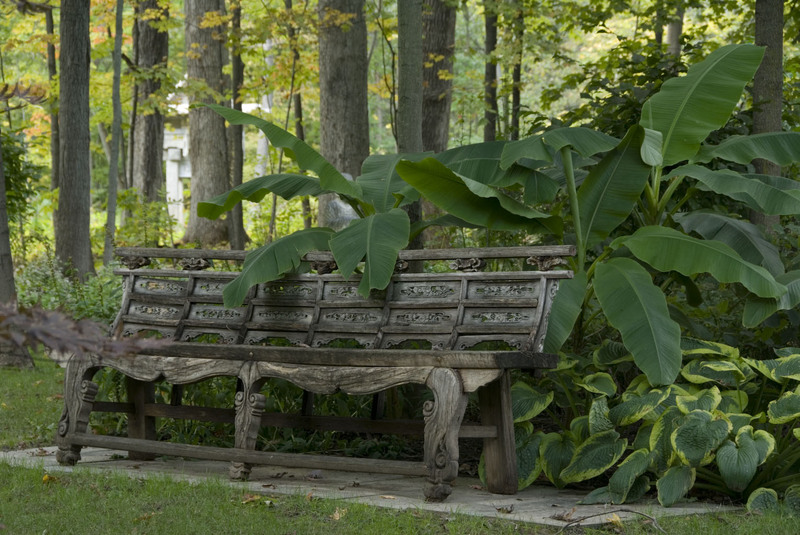 A garden can provide a place for quiet contemplation. On the other side of the spectrum, there should also be places to sit with others. These spaces create socialization, either with visitors or among the residents. 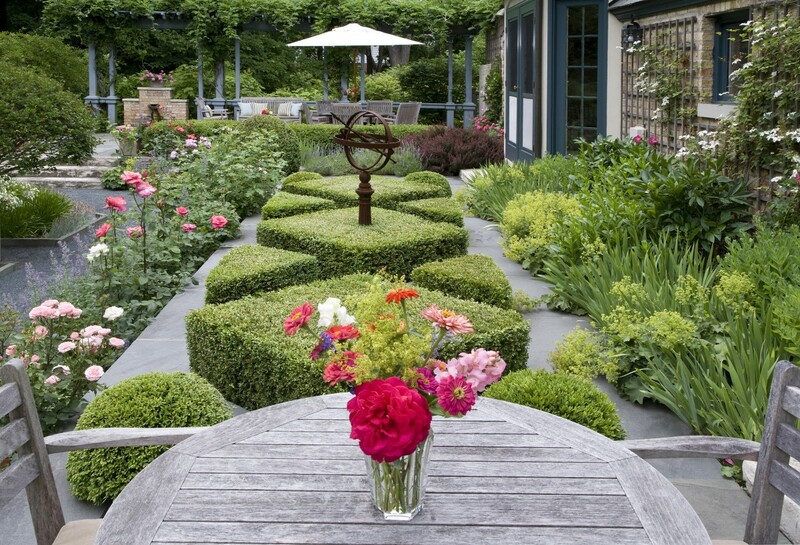 Lush planting, smooth pathways, and seating areas enhance the quality of the experience in—and use of—any garden. Consider also the kind of seating to be provided. Wood, fabric, or hard plastic materials are preferred, as they are more comfortable than steel, aluminum, or concrete surfaces. When possible, provide seating with cushions to increase comfort. Using moveable seating is also very popular. Use of the overall space skyrockets when people of any age are able to move or manipulate their seat for optimal comfort and satisfaction. This enables garden users to feel in control, which may be lacking inside the building. These factors as well as countless others help to create spaces that are inviting and engaging to the elderly. There are additional factors to consider in an outdoor space that relate to programmatic intentions on top of the physical design but we’ll visit those topics another day. 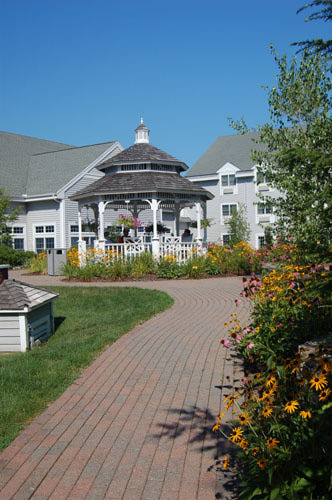 Outdoor spaces in facilities for the elderly and aging are immensely important. The next time you visit one, take a moment for a quick assessment. 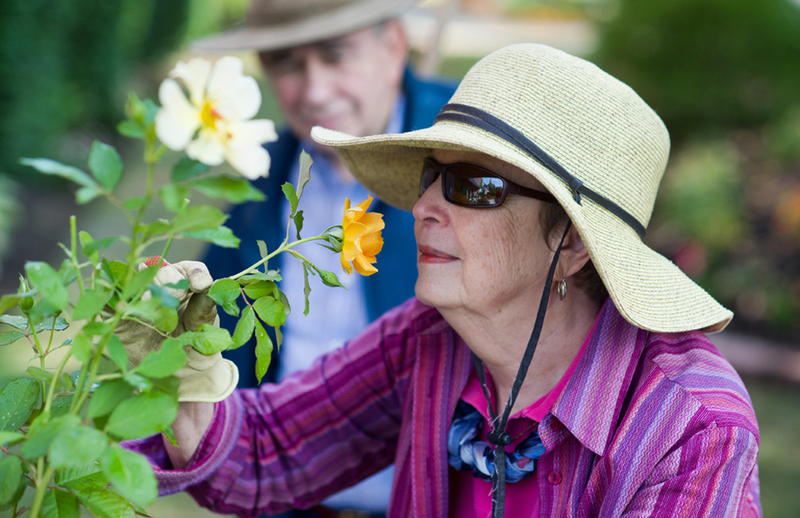 With these basic tips, everyone can be an expert and wonderful advocate for successful outdoor spaces and gardens for the elderly.